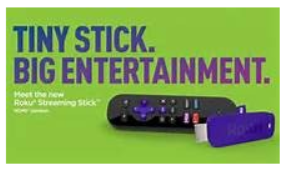 This stick just plugs into the back of your TV in the HDMI socket and into a usb adaptor lugged into the power socket (or usb lead directly into a usb port on your tv if it has one). You start the set up on your television and connect the device using your home Wifi..You are then asked to use another device to complete set up. I grabbed my mobile phone and was set up in no time. You have a choice of channels to start with but my one criticism is on the first few that you are offered it does not state if they are charged or free and at this time you have just given your payment method. That I think should be clearly stated. However you have the usual iPlayer 4OD etc. channels to get you started. There is a wide range of other channels some carry advertising and others are paid for to access but at this point it is clear if you are paying or not when you choose to download the channel. You can connect your Sky Now.TV connection and Netflix account to this too. It does not show live television only streamed programs unless the streaming service supports live streams (Sky for example). It however solves the problem where you have one aerial into your house – usually the lounge and you do not have connections to the bedrooms. There are various methods of getting the signal round the house but this has to be one of the simplest and quickest to set up. At a mere £49.99 it is well worth the price for the simplicity and convenience.